Wombat is a rare marsupial from dry and semi-dry areas on the islands of Australia and Tasmania. It is the largest burrowing mammal. This solitary animal is nocturnal (most active at night). Thick-set mammal has very short legs, large paws, sharp claws, and a shuffling walk. Wombats range from 2.5-3.8 ft (0.75-1.2 m) long. It has a backwards-facing pouch (to keep out dirt as it burrows) in which its newborn will stay until it is able to walk. Wombats have four incisor teeth that continue to grow throughout their lives. 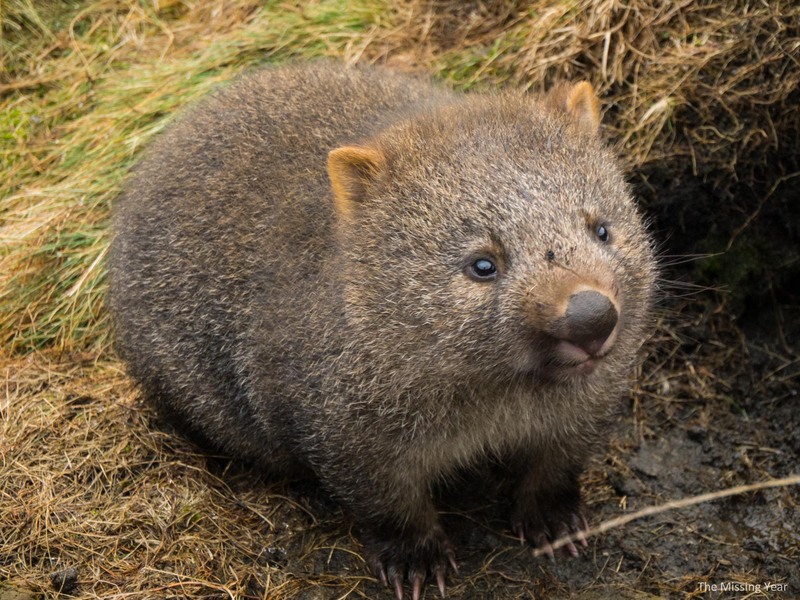 The wombat has unusual, cube-shaped dung. These herbivores (plant-eaters) eat grass, leaves, bark, and roots.